How Is Collage Used in Fine Art? A collage is a piece of art that incorporates a variety of materials. It often involves gluing things like paper, cloth, or found objects onto a canvas or board and incorporating that into a painting or composition. The exclusive use of photos in collage is called a photomontage. Derived from the French verb coller, meaning "to glue," collage (pronounced ko·laje) is a work of art made by gluing things to the surface. It is similar to découpage, a 17th century French practice of decorating furniture with pictures. Collage is sometimes referred to as mixed media, though that term can take on meanings beyond collage. It would be more appropriate to say that collage is one form of mixed media. Quite often, collage is seen as a mixture of "high" and "low" art. High art meaning our traditional definition of fine art and low art referring to that made for mass-production or advertisements. It is a newer form of modern art and is a popular technique employed by many artists. Collage became an art form during the Synthetic Cubist period of Picasso and Braque. This period ran from 1912 until 1914. At first, Pablo Picasso glued oilcloth to the surface of "Still Life with Chair Caning" in May of 1912. He also glued a rope around the edge of the oval canvas. Georges Braque then glued imitation wood-grained wallpaper to his "Fruit Dish and Glass" (September 1912). Braque's work is called papier collé (glued or pasted paper), a specific type of collage. During the Dada movement of 1916 through 1923, collage appeared once again. Hannah Höch (German, 1889–1978) glued bits of photographs from magazines and advertising in such works as "Cut with a Kitchen Knife" (1919-20). Fellow Dadaist Kurt Schwitters (German, 1887–1948) also glued bits of paper he found in newspapers, advertisements, and other discarded matter beginning in 1919. 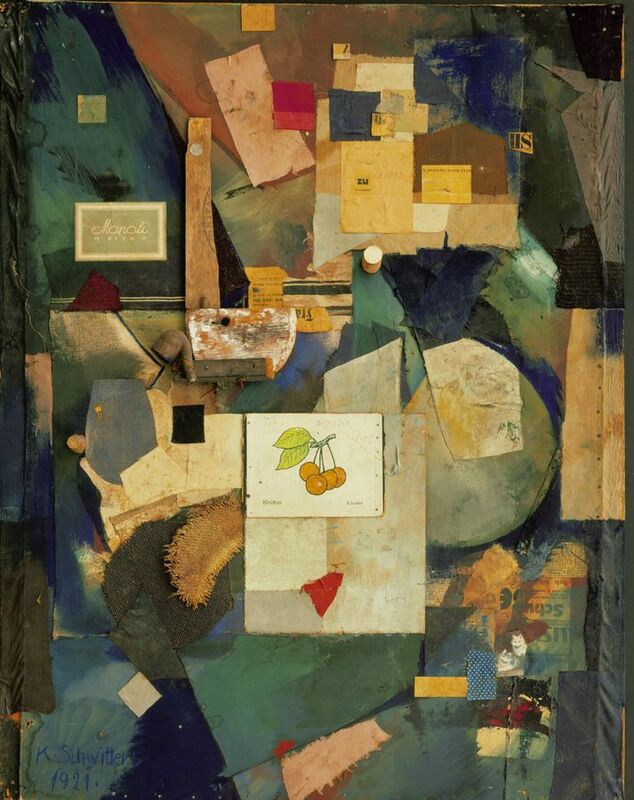 Schwitters called his collages and assemblages "Merzbilder." 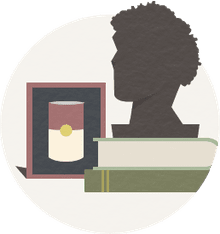 The word was derived by combining the German word "Kommerz" (Commerce, as in banking) which had been on a fragment of an advertisement in his first work, and bilder (German for "pictures"). Many early Surrealists also incorporated collage into their work. The process of assembling objects fit perfectly into the often ironic work of these artists. Among the better examples is the art of one of the few female Surrealists, Eileen Agar. Her piece "Precious Stones" (1936) assembles an antique jewelry catalog page with a cutout of a human figure layered over colorful papers. All of this work from the first half of the 20th century has inspired new generations of artists. Many continue to employ collage in their work. What collage offers artists that cannot be found in flat work alone is the opportunity to add commentary through familiar imagery and objects. It adds to the dimension of the pieces and can further illustrate a point. We have seen this often in contemporary art. Many artists find that magazine and newspaper clippings, photographs, printed words, and even rusty metal or dirtied cloth are great vehicles for conveying a message. This may not be possible with paint alone. A flattened pack of cigarettes glued onto a canvas, for instance, has a higher impact than simply painting a cigarette. The possibilities of using collage to address a variety of issues are endless. Quite often, the artist will leave clues within the elements of a piece to allude to anything from social and political to personal and global concerns. The message may not be blatant, but can often be found within the context. What Is a Photomontage Art? What Is a Collage Essay in Composition?